The Provincial Election is on April 19th this year and while there was not a lot of time to set up a forum due to a lack of Candidates, we are going ahead. The Forum will take place at the NACTV Studio in Neepawa from 7:00 to 9:00 PM on Thursday, March 24th. Two candidates have confirmed they will attend and invitations were sent to each of the main parties. The Green party and New Democrats have nominated candidates and hopefully they will be able to attend as well. 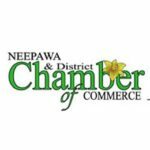 The event will be televised and while the Chamber has a few questions it will put to the candidates there will be opportunities for questions from the floor and phone in questions as well. You will be required to provide your name and location when you stand up or phone in with your questions. We hope to see lots of people out at this important chance to hear what your MLA hopefuls have to say. This is a public event to which all are welcome. Important Update! Due to technical issues, the forum will be taking place at the NACTV Studio instead of the Roxy Theatre.